Dr. Gerda Govine-Ituarte speaks at a breakout session about Life-Long, along with co-presenters Wenonah Valentine, Sheila Moore and Eleanor Brownn, at the 2008 Aging in America Conference held in Washington, DC. 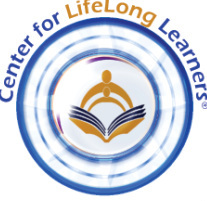 Life-Long is housed at the Center for Life-Long Learners, in the West Adams District of Los Angeles, Antoinette Laudermilk, Executive Director. Add me to your email list to receive announcements. I want to be a volunteer with the organization. Please contact me.